Keeping Parking Lots Beautiful in Austin & Central Texas. Parking lots require a specific course of action depending on the circumstance. There are multiple facets that help create an effective parking lot. Whatever steps your asphalt or concrete parking lot may need, our focus is to give you a quality parking lot that will last you a long time. 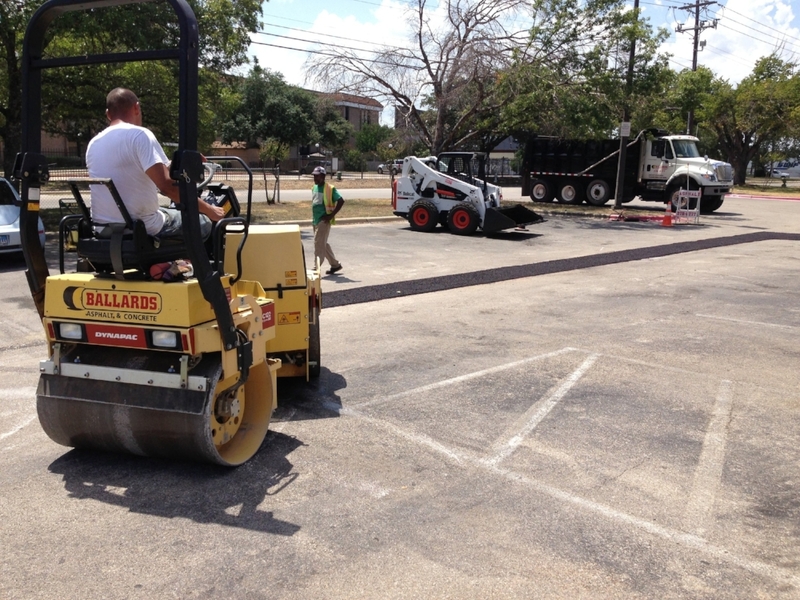 From crack filling, paving, and seal coating, to striping and ADA compliance... you can count on Ballard's Asphalt & Concrete to bring your parking lot to the highest level of quality, satisfying your company's needs for years to come.